The 2019 Scottsdale show was a huge success! 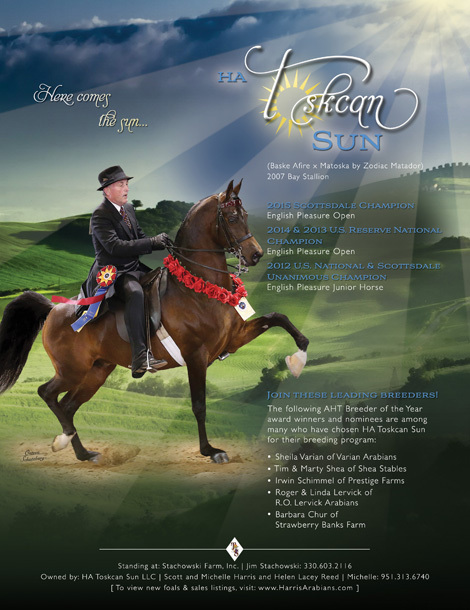 Congratulations to all the winners sired by HA Toskcan Sun! 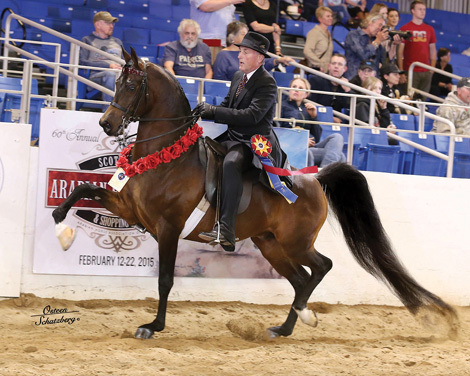 In his driving debut, Toskcan was named the 2019 Scottsdale Unanimous Champion! 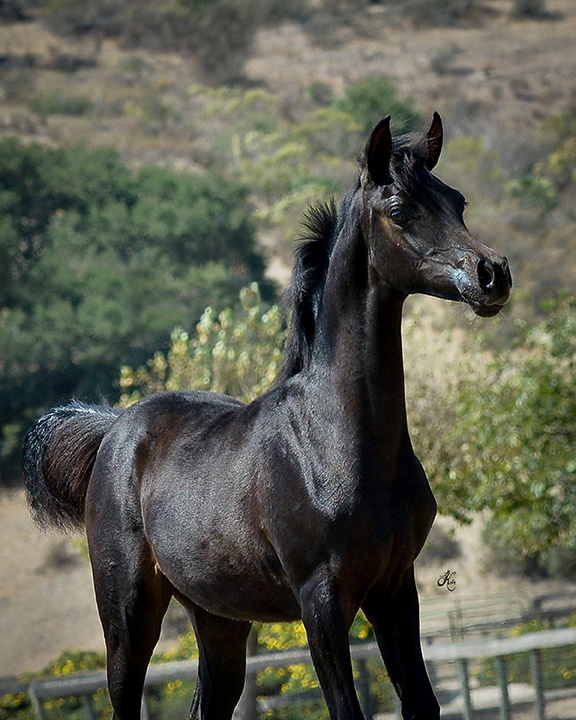 We're also proud to offer special discounts for breedings booked by May 1st! View ad HERE for more details. Please contact Michelle with any questions. 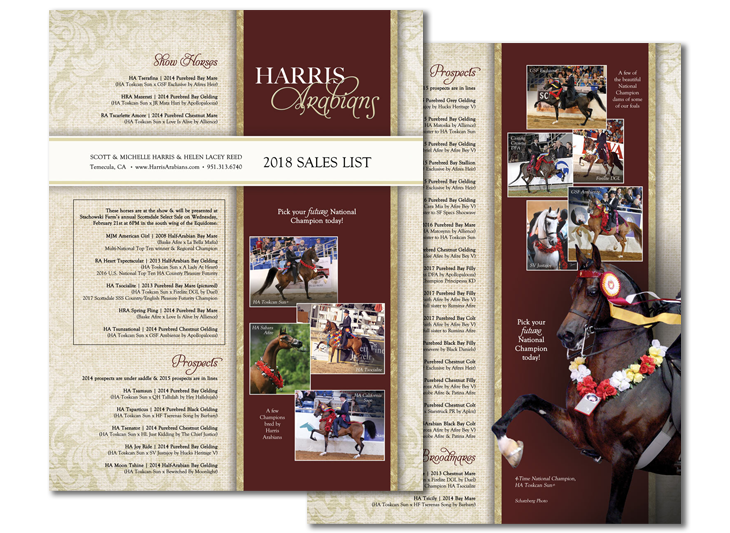 Harris Arabians is excited to offer a special new group of sales horses for 2019. We invite you to take a look at this exciting new group HERE. Please contact Michelle for more information. 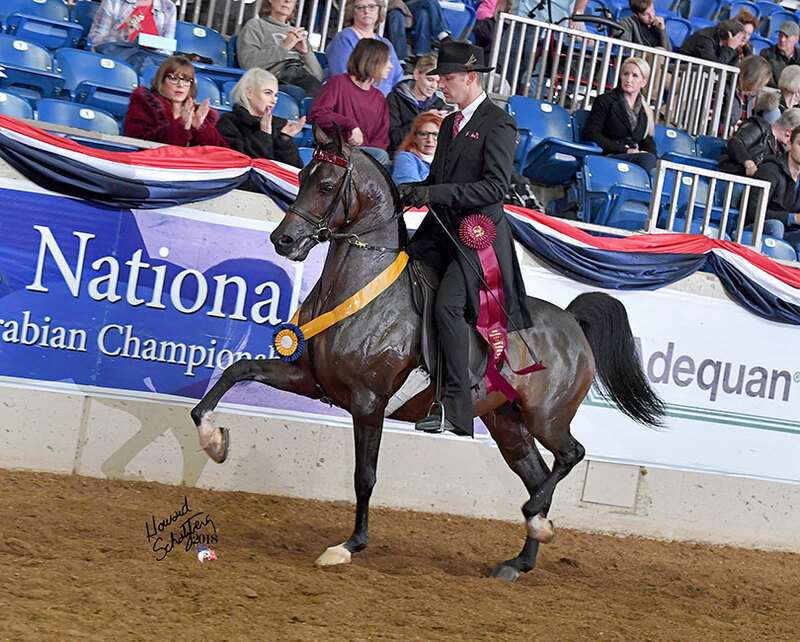 The 2018 U.S. National Championship show was a great one for HA Toskcan Sun and Harris Arabians-bred horses! 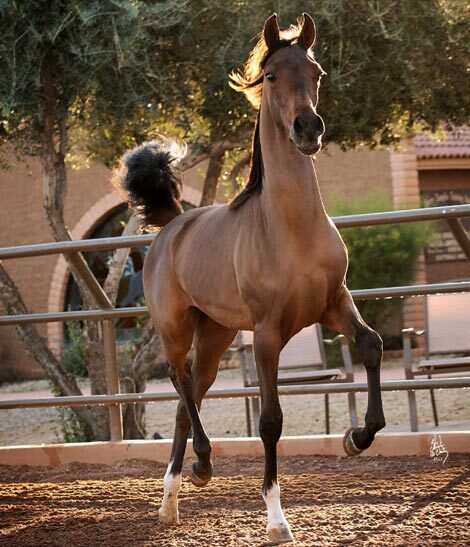 Harris Arabians is excited to offer a special new group of sales horses for 2018 and many will be at this year's Scottsdale show! 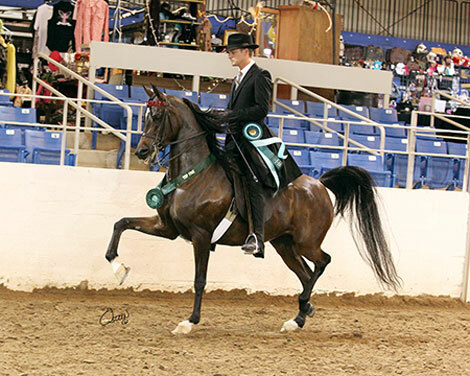 We have everything from talented new foals to proven broodmares and finished show horses. Pick your future National Champion today! We invite you to take a look at this exciting new group HERE! 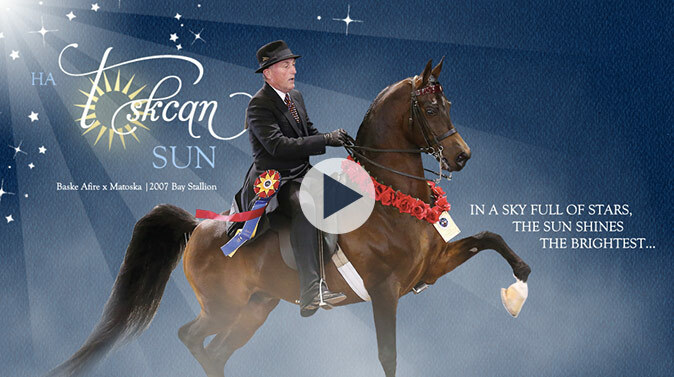 We'd like to thank Matt Gee for surprising us with this video of HA Toskcan Sun, being presented at Scottsdale 2017! 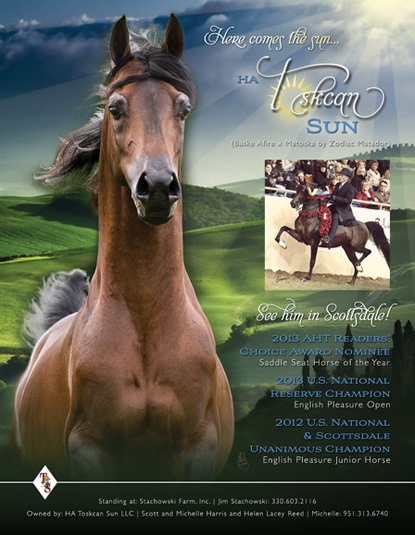 HA Toskcan Sun+ progeny went 3 for 3 in Scottsdale! 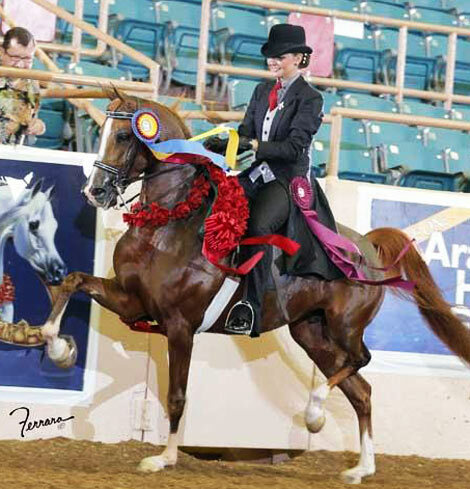 HA California Sage was named Unanimous Champion Country English Pleasure Junior Horse, HA Tsocialite was named Champion in the Scottsdale Signature Stallion Country/English Pleasure Futurity and Principessa KD was named Reserve Champion in the very same class. 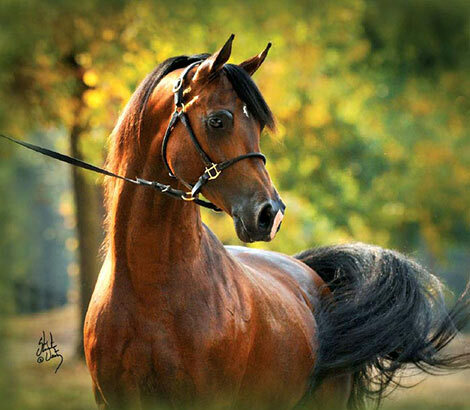 Breed your champion today! 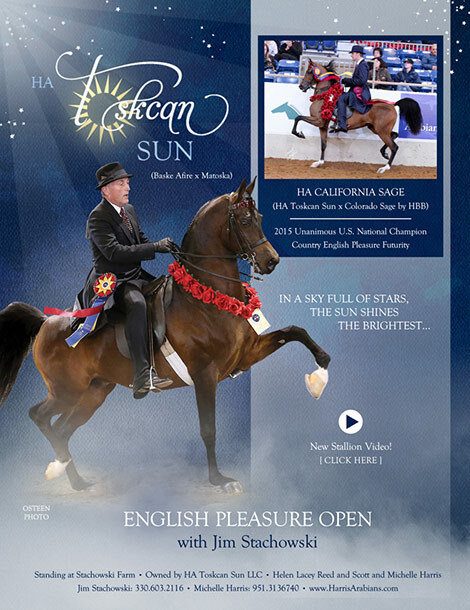 Visit his page for more information on 2017 breeding information to 4-Time National Champion/Reserve winner and National Champion sire, HA Toskcan Sun+. 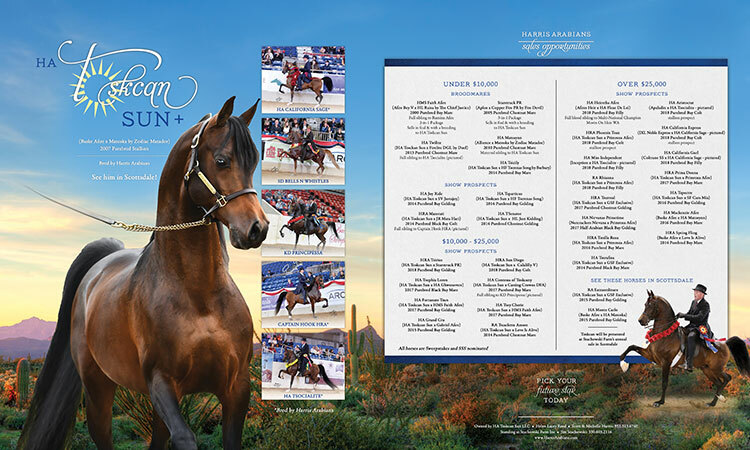 HA Toskcan Sun+ entertained the crowd at the 2017 Stachowski Select Sale preview presentation in Scottsdale! The 2016 breeding season is over and we have several exciting foals on the way for 2017! 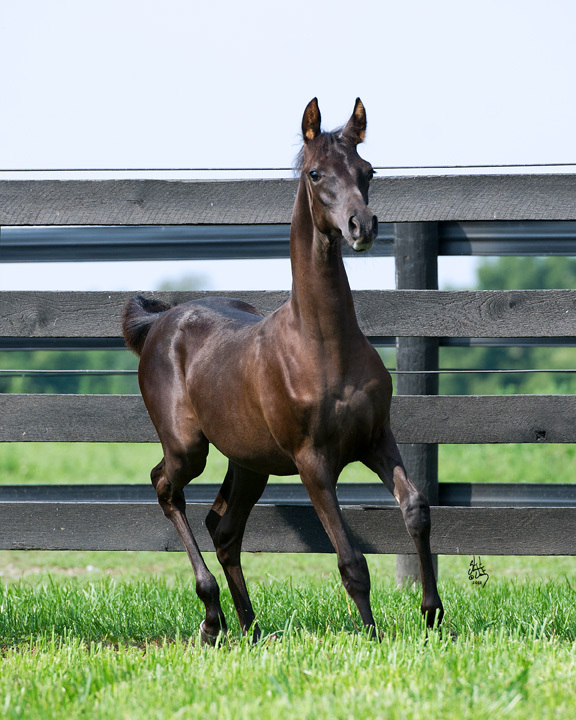 Take a look at our Foals page for a complete list. 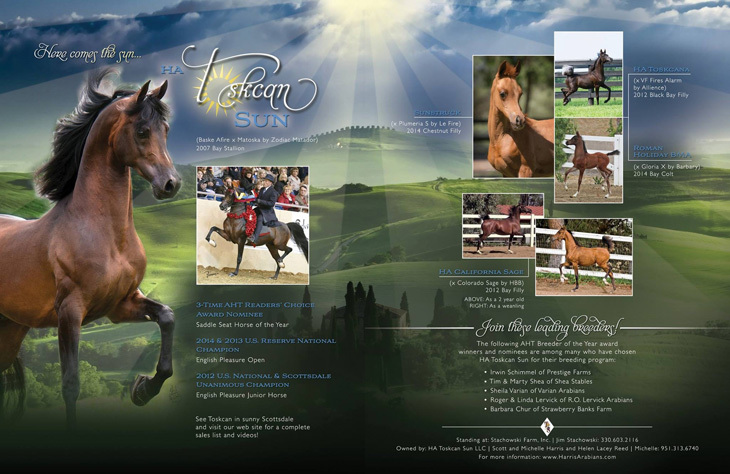 In foal to HA Toskcan Sun+ for 2017! 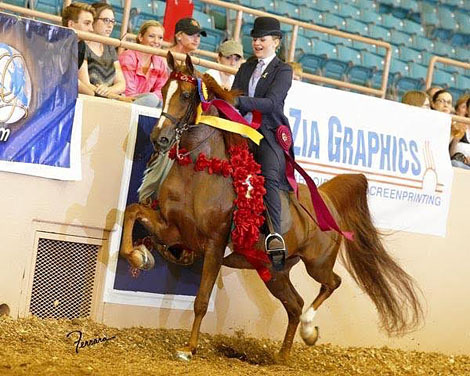 Congratulations to Helen Lacey Reed and her beautiful mare, GSF Exclusive who was named the 2016 Youth National Reserve Champion in Park JTR 18 & Under with Ava Stachowski! 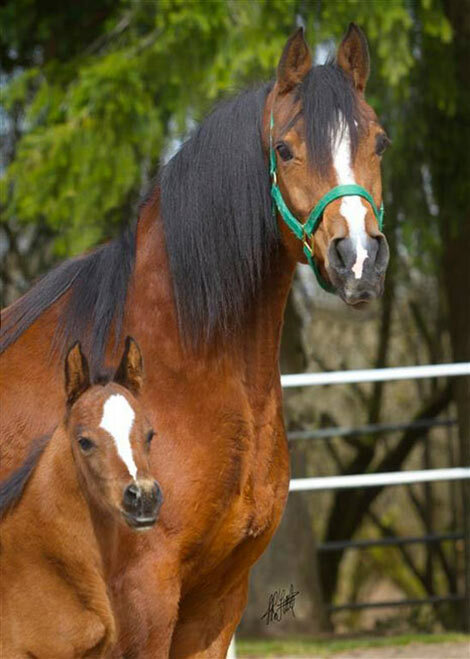 Spring is here and new foals are arriving by the day! 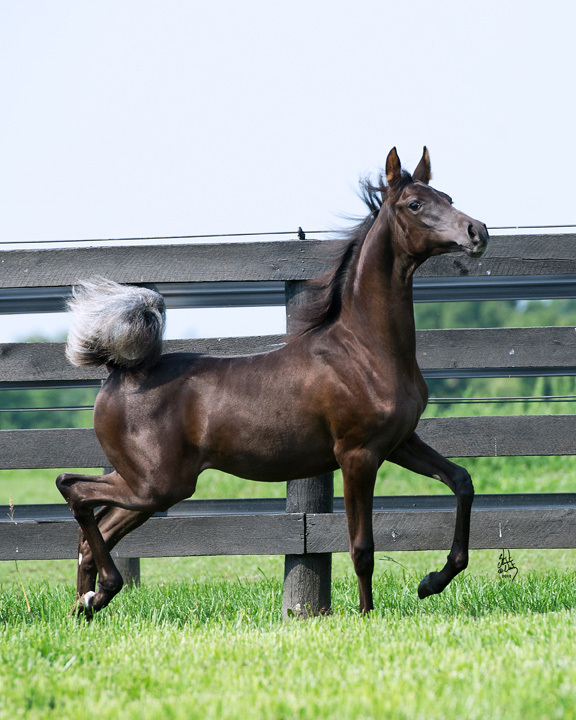 Check our Foals page to stay up to date! 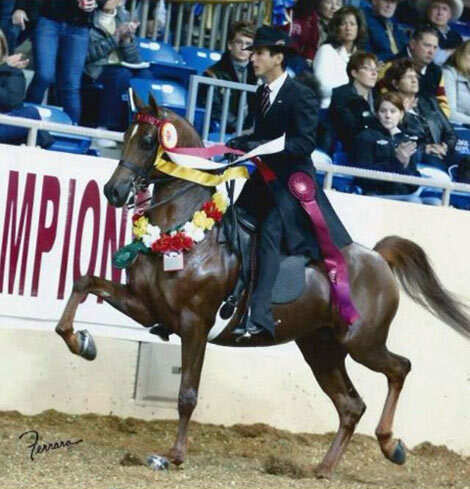 We're thrilled to announce that HA Toskcan Sun was named the AHT Readers' Choice Saddle Seat Horse of the Year! Thank you to the Stachowski Farm team for your dedication to all his success! 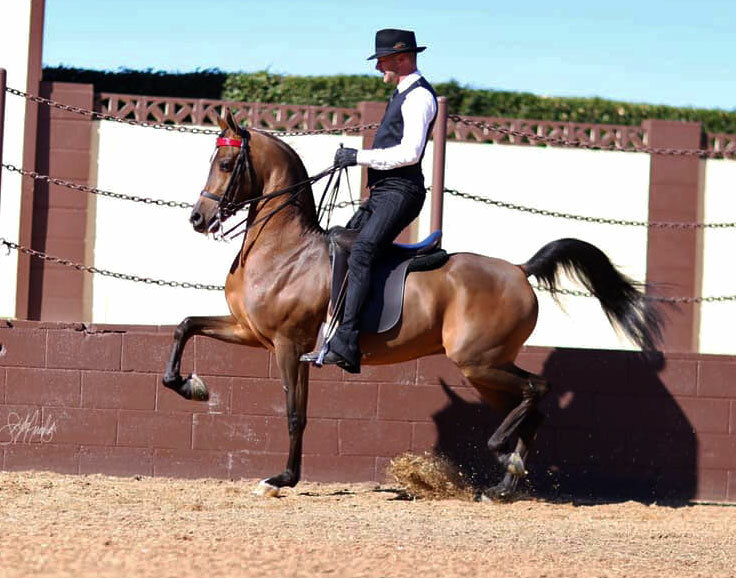 At the 2016 Scottsdale Show, Serenata earned a Reserve Champioship title in the Country English Pleasure JTR, as well as a 1st place in English Show Hack! 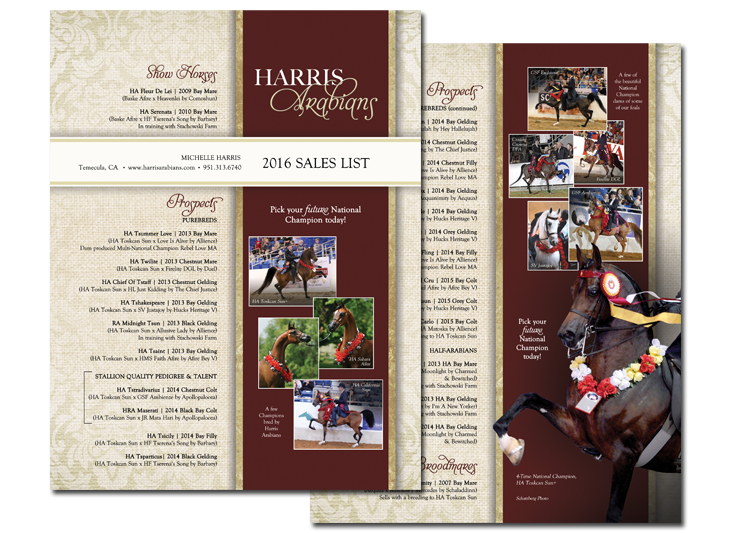 Harris Arabians is excited to offer a special new group of sales horses for 2016. 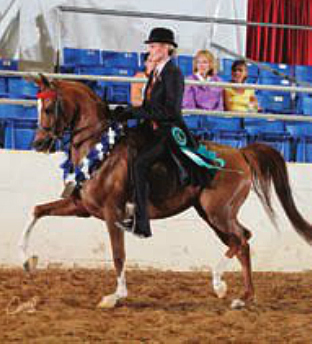 We have everything from talented new foals to proven broodmares, and finished show horses. Pick your future National Champion today! 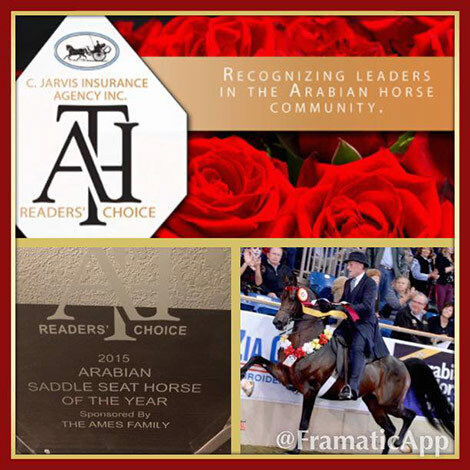 We would like to thank all of those who nominated HA Toskcan Sun+ for the 2015 Arabian Horse Times Saddle Seat Horse of the Year. This is the 4th consecutive year he's been honored with the nomination! 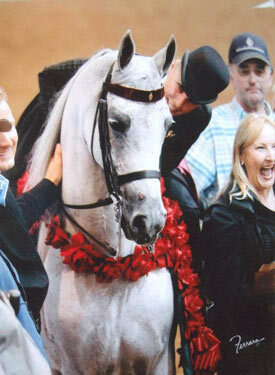 Out of the National Top Ten winning English Pleasure mare, VF Fires Alarm. 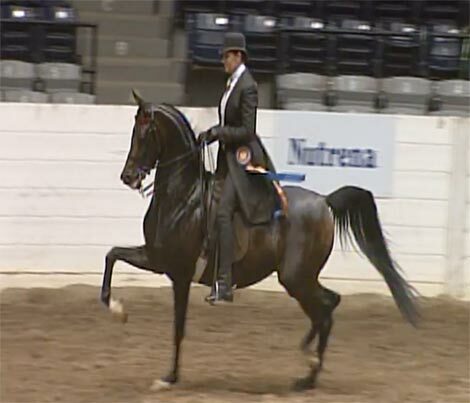 Out of a full sibling to Multi-National Champion English Pleasure horse, Gotta Wear Shades. 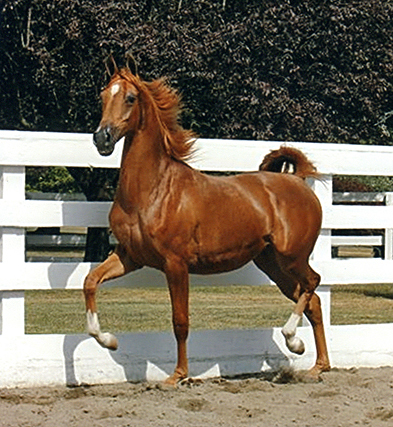 Out of a maternal sibling to Multi-National Champion English Pleasure horse, HA Toskcan Sun+. 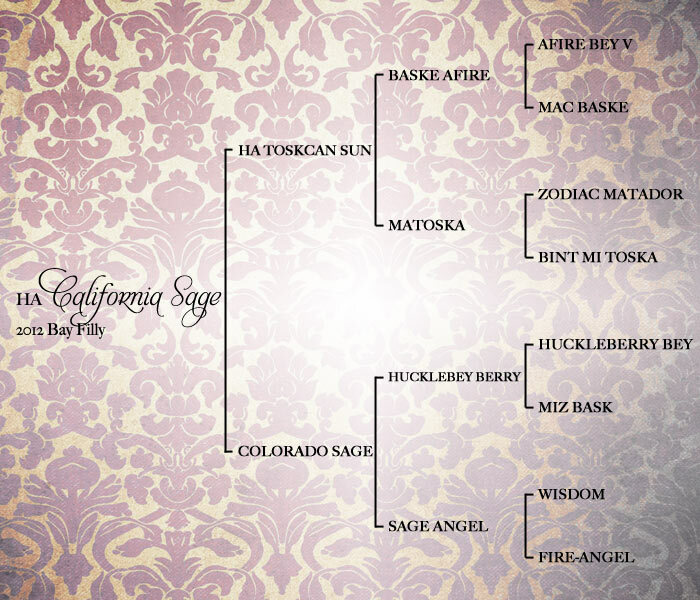 Congratulations to Kim Jarvis on her purchase of HA California Sage! 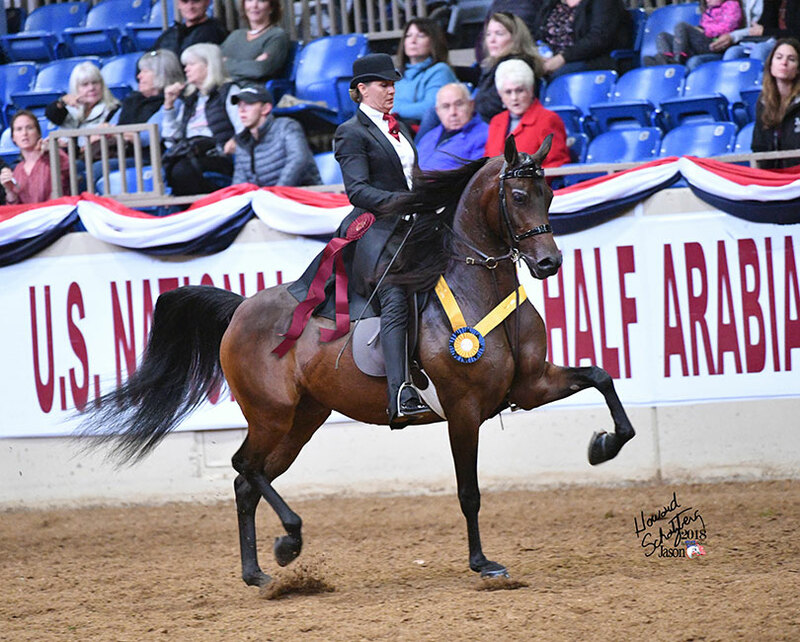 A new video of Sage, who was the 2015 Unanimous U.S. National Champion Country English Pleasure Furtuity winner, is now online! Watch her beautiful performance from U.S. Nationals HERE. 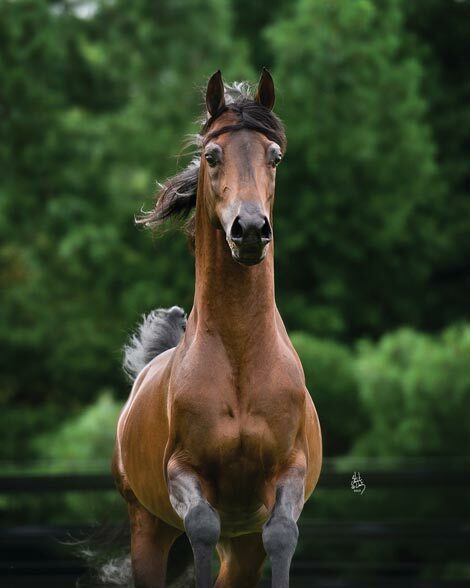 Congratulations to Betsy Kubiak of Sugar Hill Farm on her purchase of the following mare, in foal to HA Toskcan Sun+ for 2016! 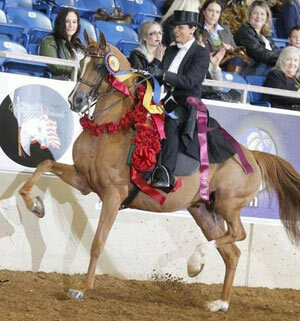 U.S. National Champion Country English Pleasure Futurity winner, HA California Sage! 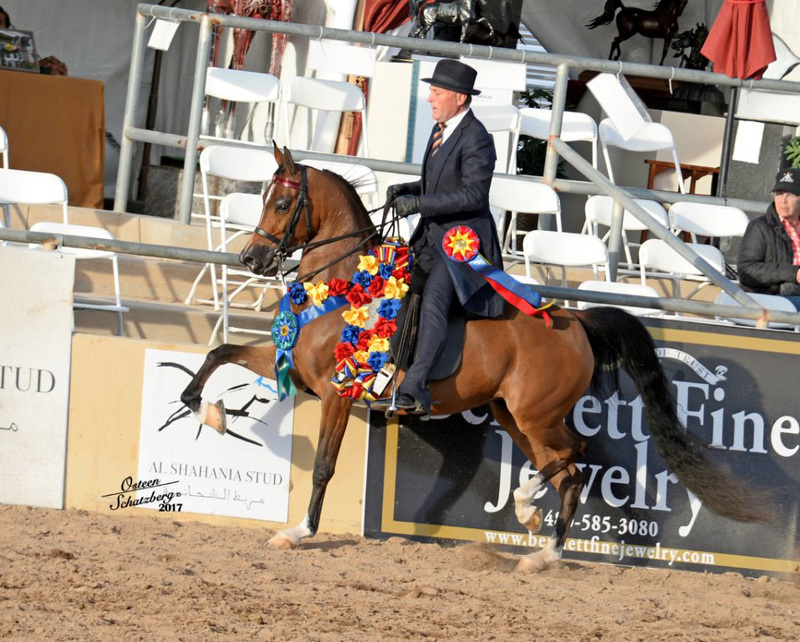 Congratulations to HA Toskcan Sun+ who was just named the 2015 U.S. National Reserve Champion in English Pleasure Open! 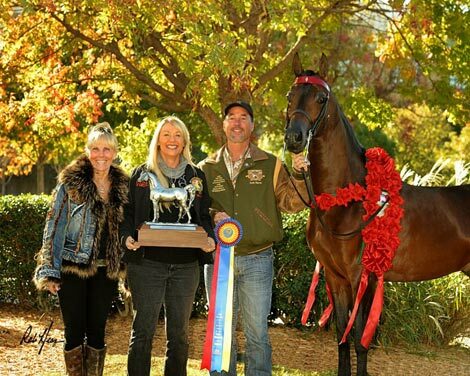 With this win, Tosckan is now a 4-Time U.S. National Champion or Reserve winner! 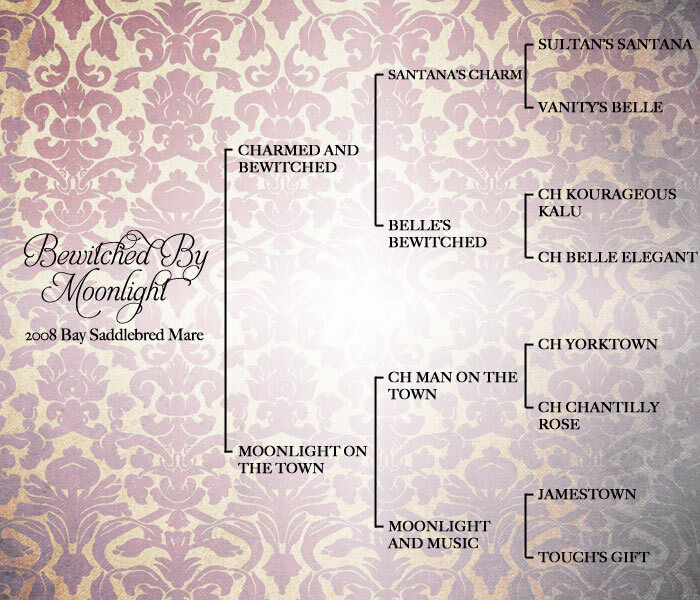 Championship on Saturday night with Jim Stachowski! 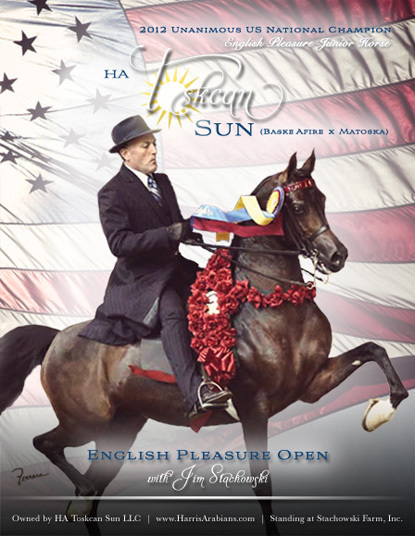 It is with great excitement that we congratulate the HA Toskcan Sun daughter (and his very first foal), HA California Sage who was just named the 2015 Unanimous U.S. National Champion Country English Pleasure Futurity Horse in a very nice class of 17! 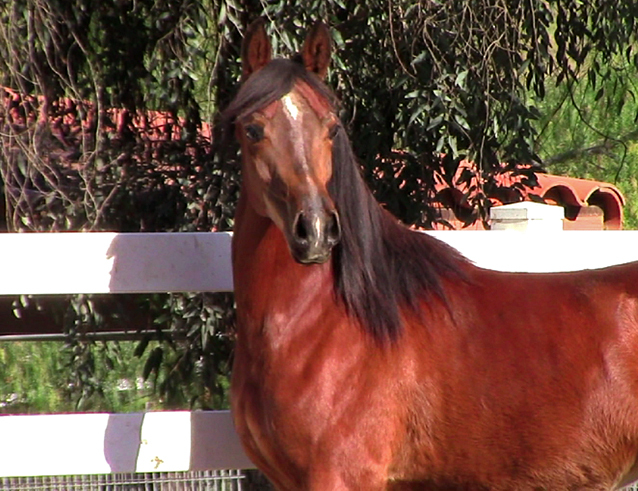 sired by HA Toskcan Sun and out of the Barbary daughter, Passion X! 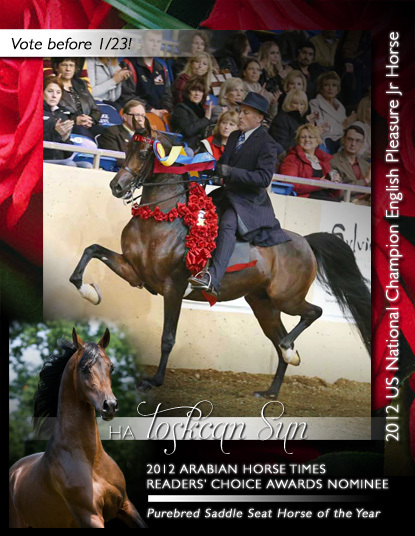 Here's your chance to bid for a breeding to Multi-National Champion English horse, HA Toskcan Sun! 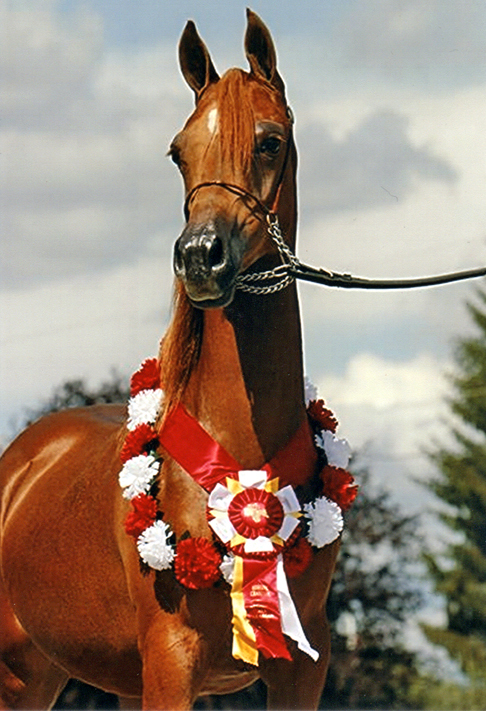 The Minnesota Medallion Stallion Service Auction is being held on October 3rd and Toskcan is lot 72. We've never done a TBT, but making an exception. 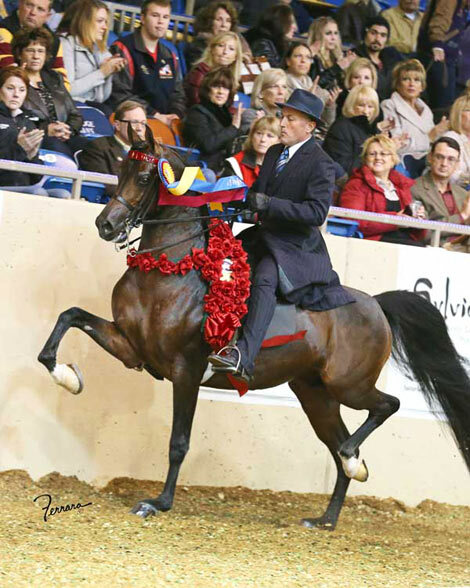 Khalculator+ (aka "Hook") carried Scott to a U.S. National Championship in reining in 2006. 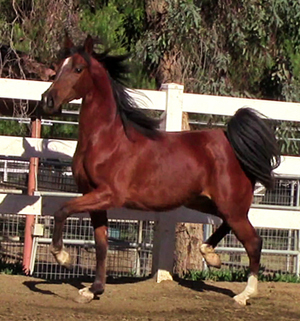 He's 24 now and is the resident babysitter at the ranch. 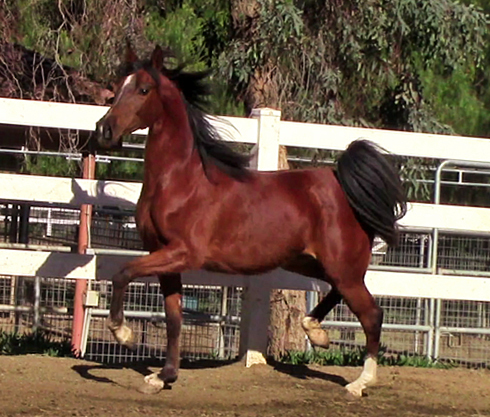 He gave us a colic scare recently so we thought it would be good idea to give him a shout out. We never know how long we have with our horse family members! 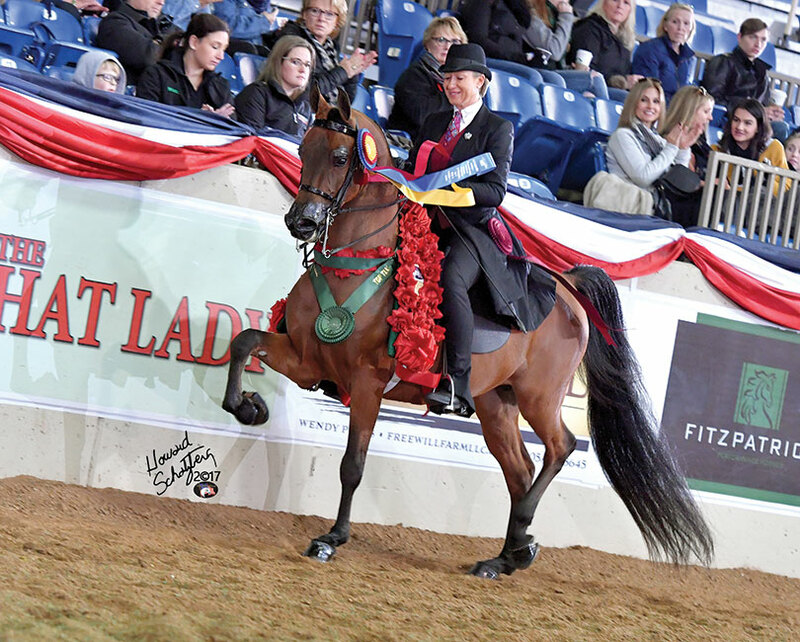 Congratulations to Roger and Linda Lervick of RO Lervick Arabians on their Reserve Regional Championship win with ROL Toskcan's Passion in the Yearling Breeders Sweepstakes class! 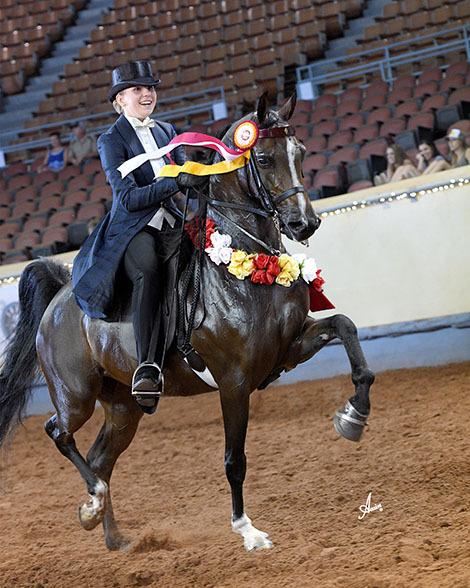 Congratulations to Ava Stachowski on her Youth National Championship win in English Pleasure JTR 13 & Under with Lady Ava Isabela! 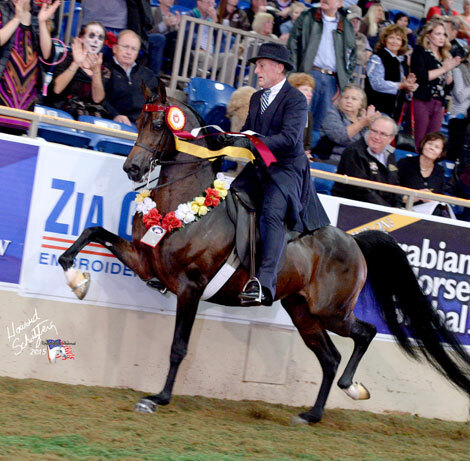 This win was extra-special, as this mare was bred by Stachowski Farm and named after Ava Stachowski! 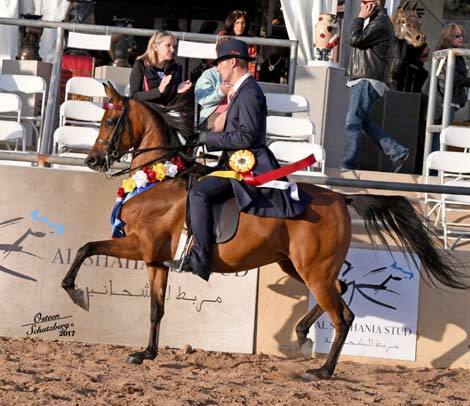 be a national-quality Country Junior Horse and Maturity contender. Currently in training at Stachowski Farm in Mantua, Ohio. with more to come in 2015! 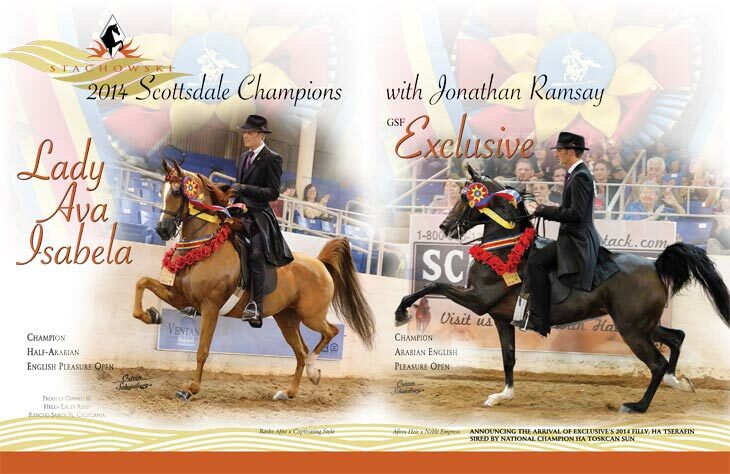 Annual Select Sales Presentation in Scottsdale! 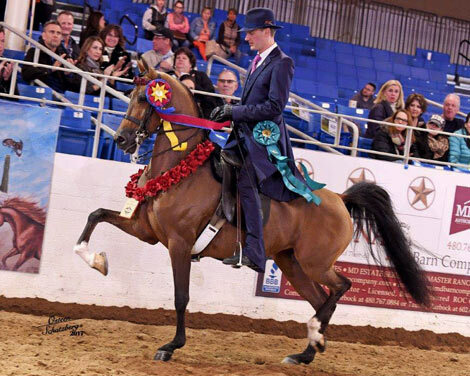 Congratulations to Shawn Stachowski on her purchase of this beautiful HA Toskcan Sun daughter! 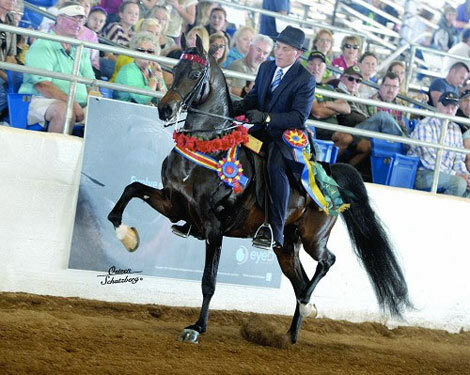 We look forward to seeing Tsocialite in the show ring and later, as a broodmare crossed with Shawn's incredible World Grand Champion Saddlebred stallion, Nutcrackers Nirvana! 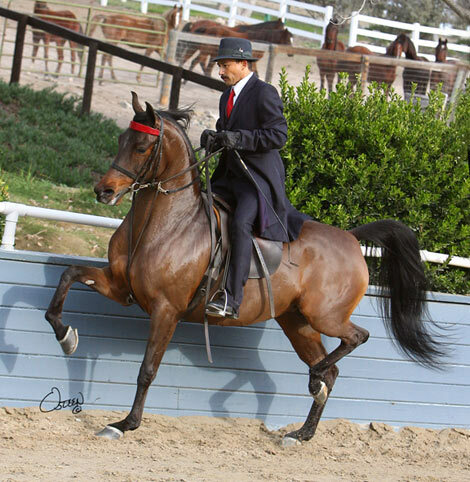 For a complete list of English prospects currently available, please call Michelle at 951-313-6740. 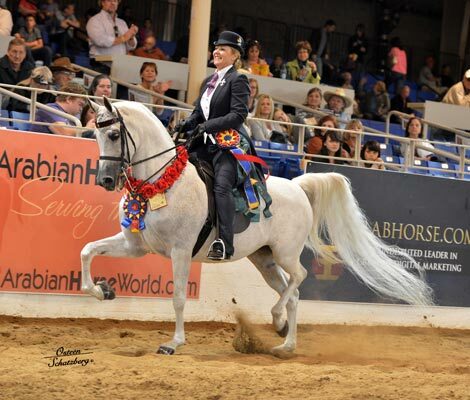 HA Toskcan Sun for the 2014 Arabian Horse Times Saddle Seat Horse of the Year! 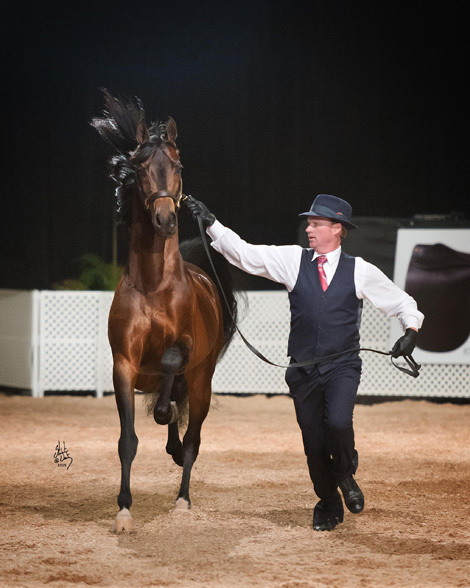 Congratulations to our very own HA Toskcan Sun who was just named the 2014 U.S. National Reserve Champion in English Pleasure with Jim Stachowski! 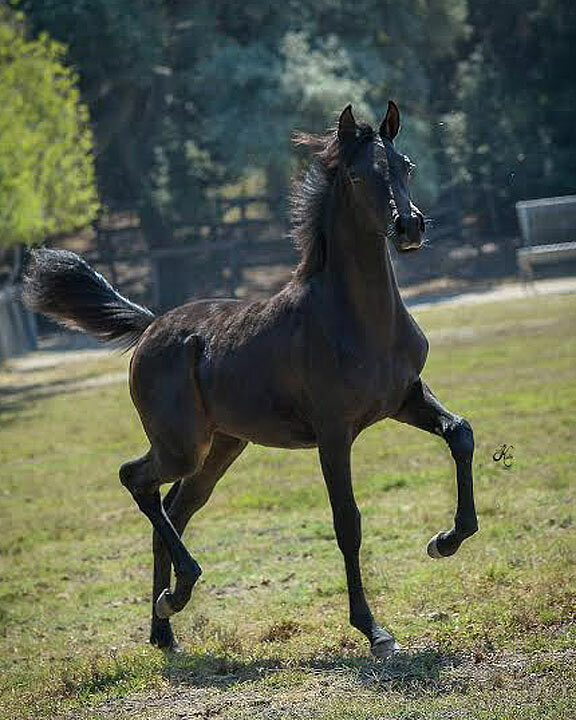 The future is looking very bright, as Toskcan's first foals are just now being started in training. 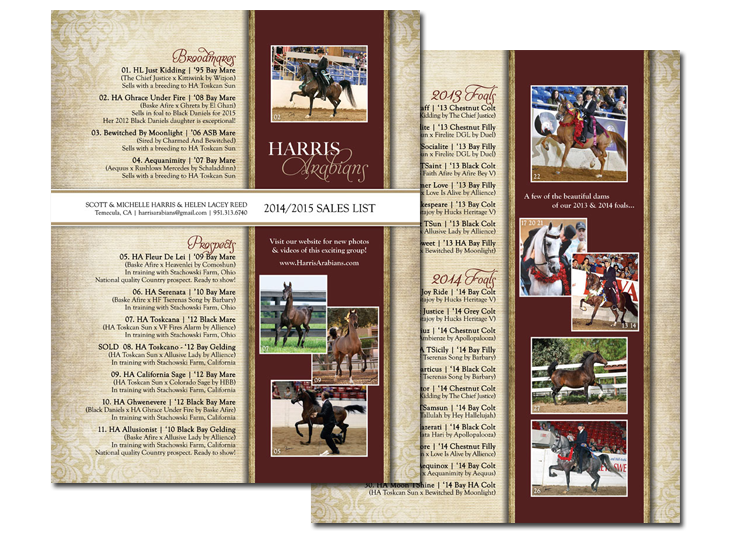 Take a look at our most recent sales list below... Several are out of mares that are National Champions themselves and/or have produced National Champions! 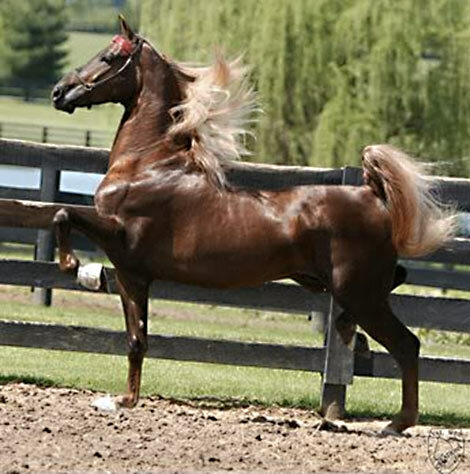 Harris Arabians is excited to offer a new collection of sales horses for your consideration. 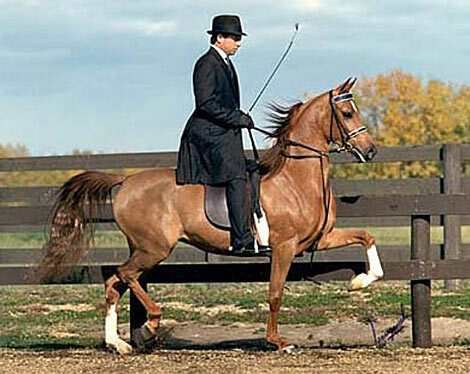 We have everything from talented new foals to proven broodmares, and finished show horses. HA Toskcan Sun is now on Facebook!!!! 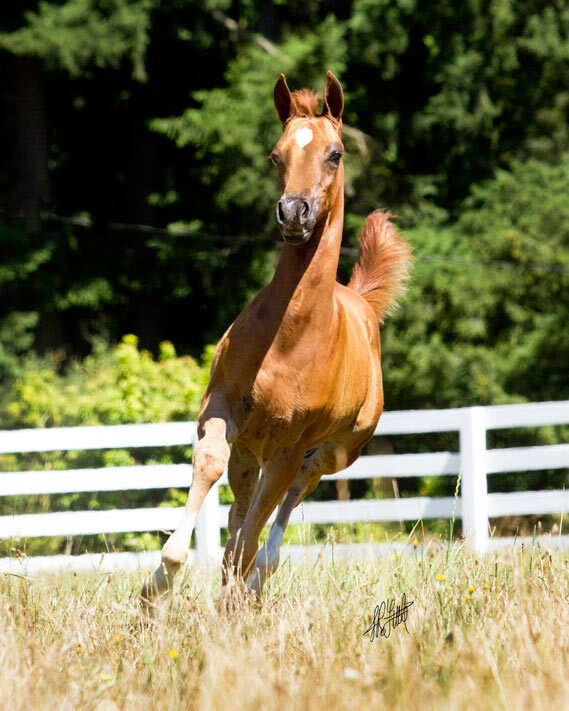 Stay up to date on news, foal announcements, photos, show results, special breeding incentives, and more by 'Liking' his page HERE! 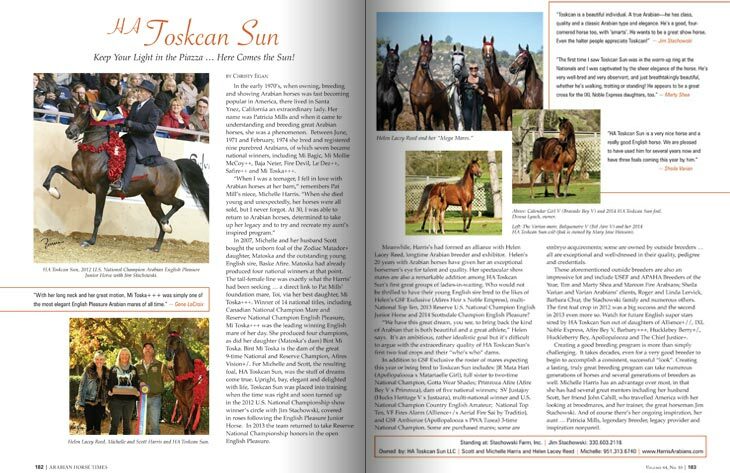 This month's issue of the Arabian Horse Times features a special editorial on our very own HA Toskcan Sun! 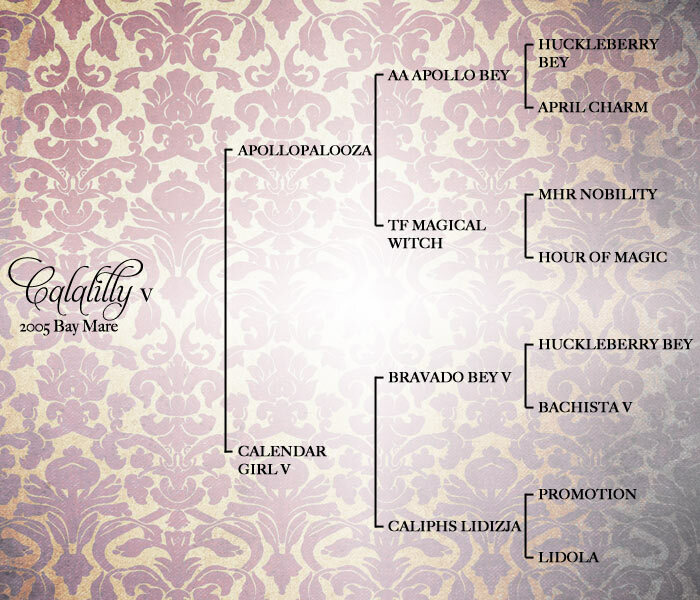 Lady Ava Isabela and GSF Exclusive! 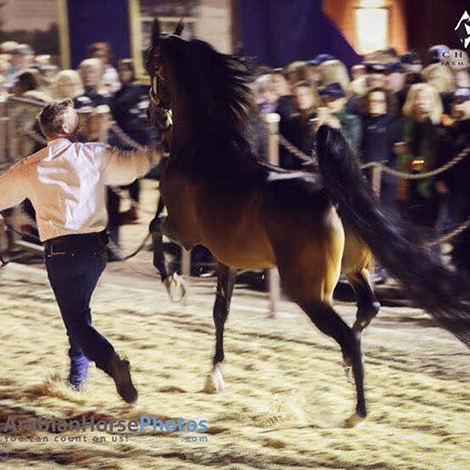 HA Toskcan Sun and his foals entertained the crowd during the Scottsdale show! 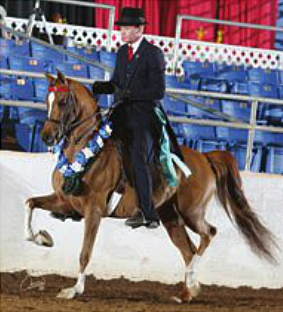 By his side for a very special presentation was the stunning bay filly HA Tsocialite (out of National Champion English Pleasure Open winner, Firelite DGL) and the beautiful black-bay colt HA Tsaint (out of the Afire Bey V daughter, HMS Faith Afire who's a full sibling to Multi-National Champion Country English Pleasure winner, Rumina Afire). Contact us today for breeding information and special sales opportunities for foals already on the ground! 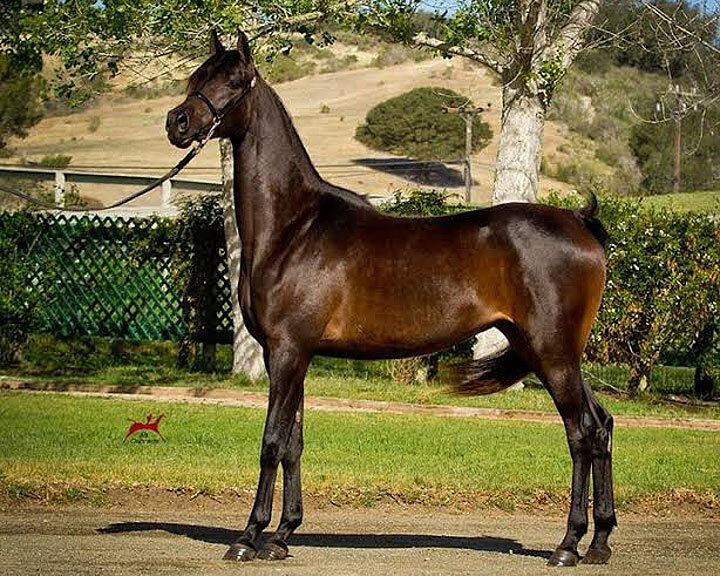 Scheduled to be bred to HA Toskcan Sun this spring! 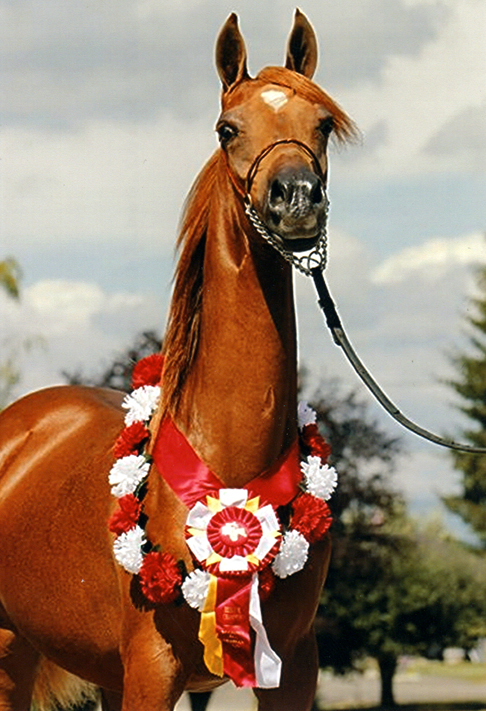 A full sibling to Multi-National Champion English Pleasure winner, Gotta Wear Shades. 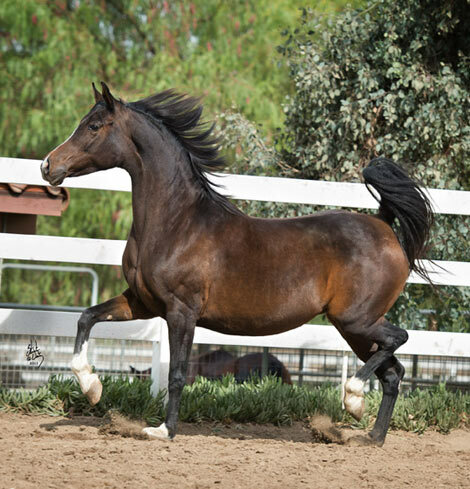 In foal to HA Toskcan Sun for 2014! 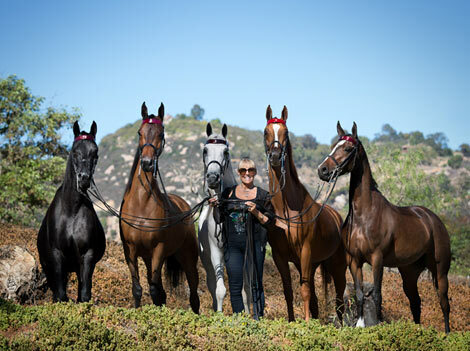 Helen Lacey Reed with five of her "mega-mares"
New photos of our 2013 foals, sired by Unanimous U.S. National Champion, HA Toskcan Sun have now been added to the website! 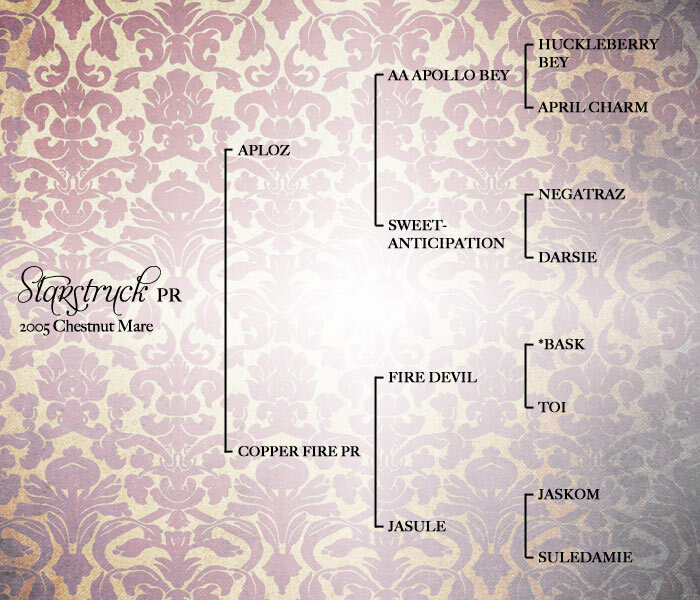 We're also very excited about the mares we currently have in foal to Toskcan for 2014, which include the Multi-National Champion English Pleasure winner GSF Ambienze, National Champion Country English Pleasure winner SV Justajoy, National Champion producer Love Is Alive, Reserve National Champion English Pleasure winner GSF Exclusive, and JR Mata Hari (a full sibling to Multi-National Champion winner Gotta Wear Shades)! 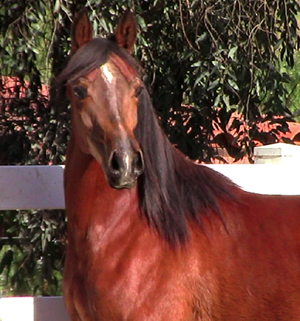 Take a look at our Mares page for more information. 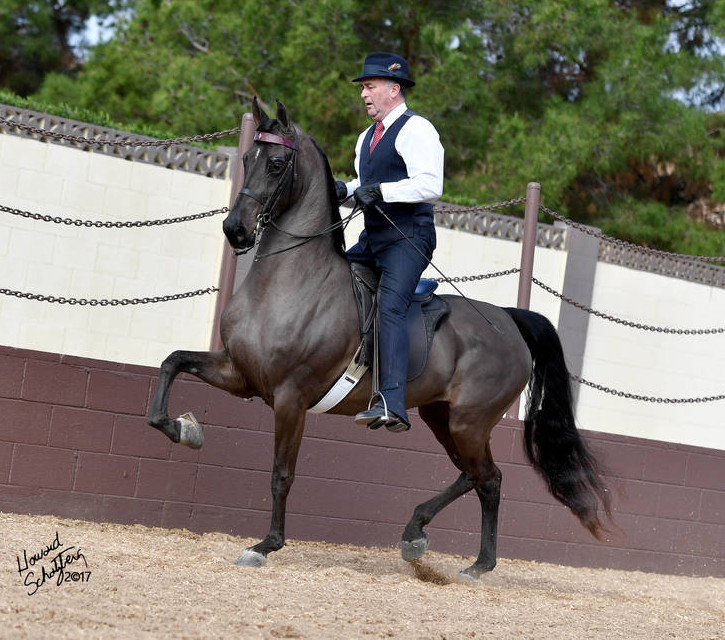 Nominations for the Arabian Horse Times Readers' Choice Awards have been announced and HA Toskcan Sun is nominated for the 2013 Saddle Seat Horse of the Year. This marks the second year in a row that Toskcan has been nominated! We are so proud of him! 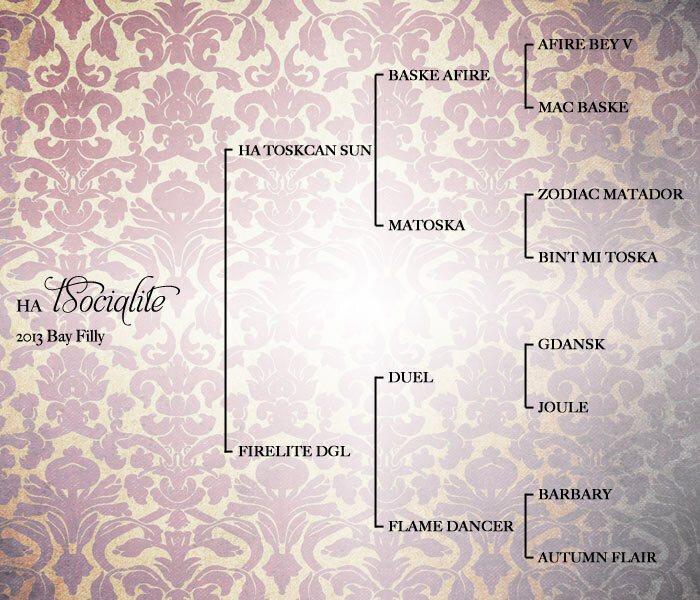 Please show your support by voting for Toskcan HERE! 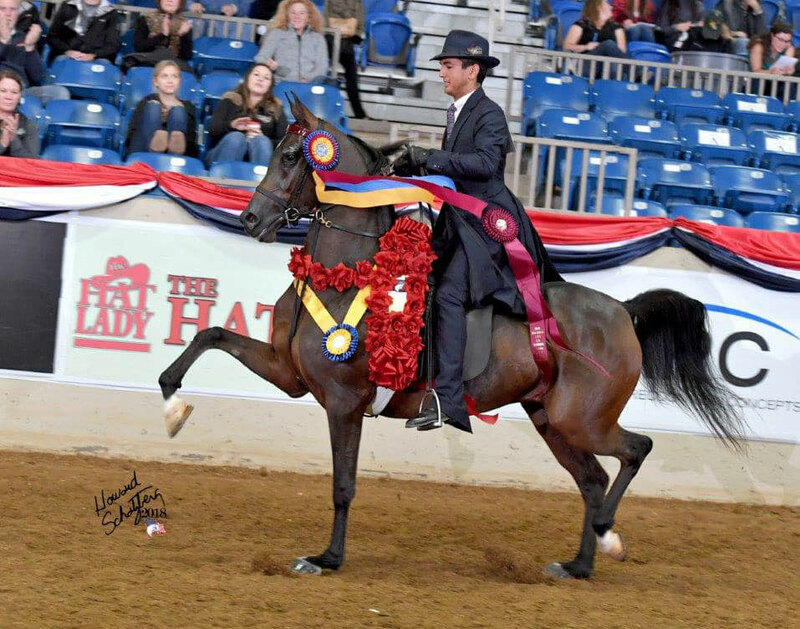 Congratulations to HA Toskcan Sun who was recently crowned the U.S. National Reserve Champion title in English Pleasure Open! 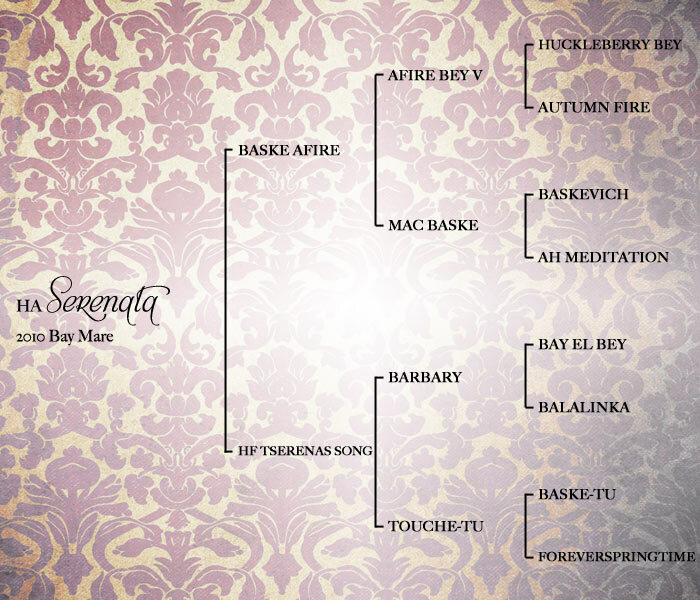 What a beautiful performance to close out the show in a very competitive class! 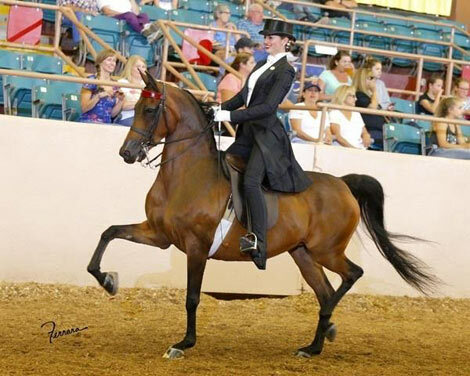 As a side note, the exceptionally talented mare, Expressly Bella who was named National Champion in the same class, is scheduled to be bred to Toskcan next year by owners Karen and Mallory Mahan for a 2015 foal! 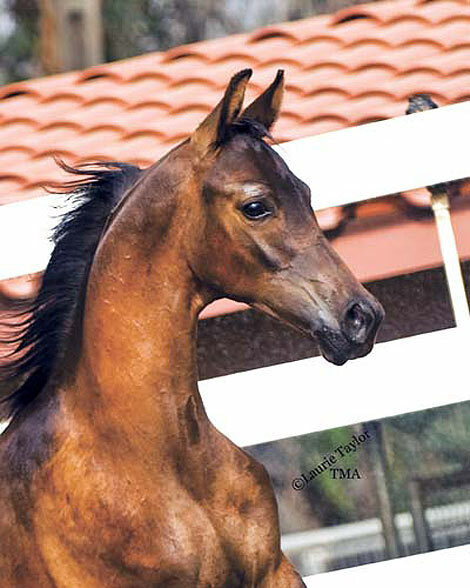 And also on the way for us at Harris Arabians is the talented yearling filly HA California Sage, who's sired by Toskcan and out of Expressly Bella's dam, Colorado Sage! Lots of things to look forward to! Stay tuned. 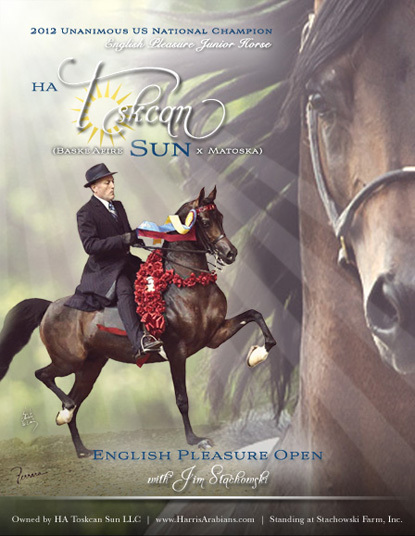 HA Toskcan Sun is returning to the US National Championship show in English Pleasure Open! Help us cheer him on as he closes out the show with Jim Stachowski on Saturday night! 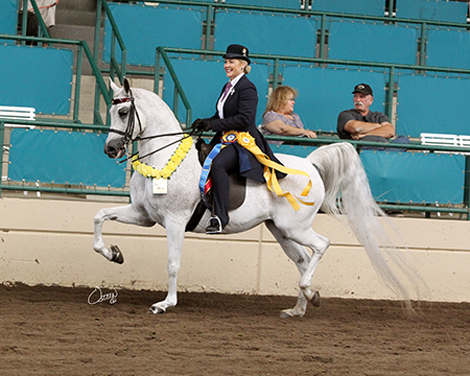 We had a very successful Region 1 Championship Show in Del Mar, California! 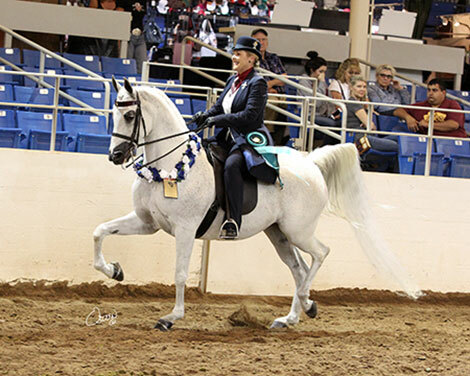 Congratulations to Michelle on her Unanimous Championship and Reserve Championship with the beautiful purebred Country English Pleasure mare, SV Justajoy! 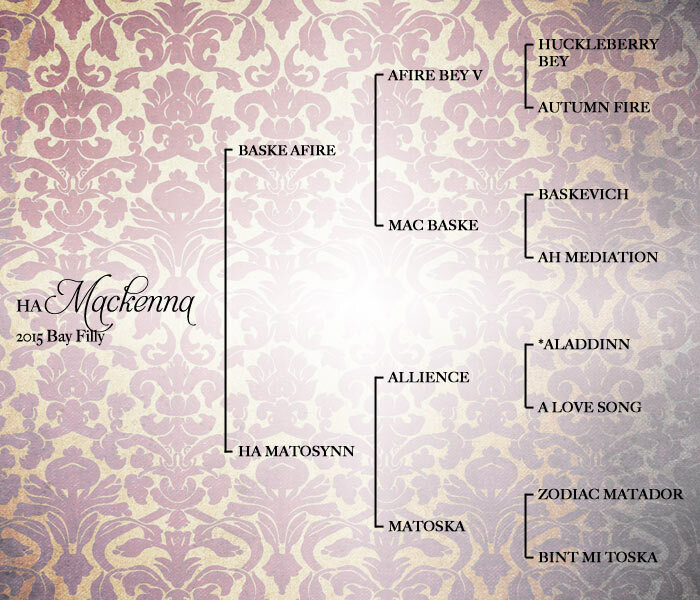 Congratulations to our 2013 Region 7 winners! 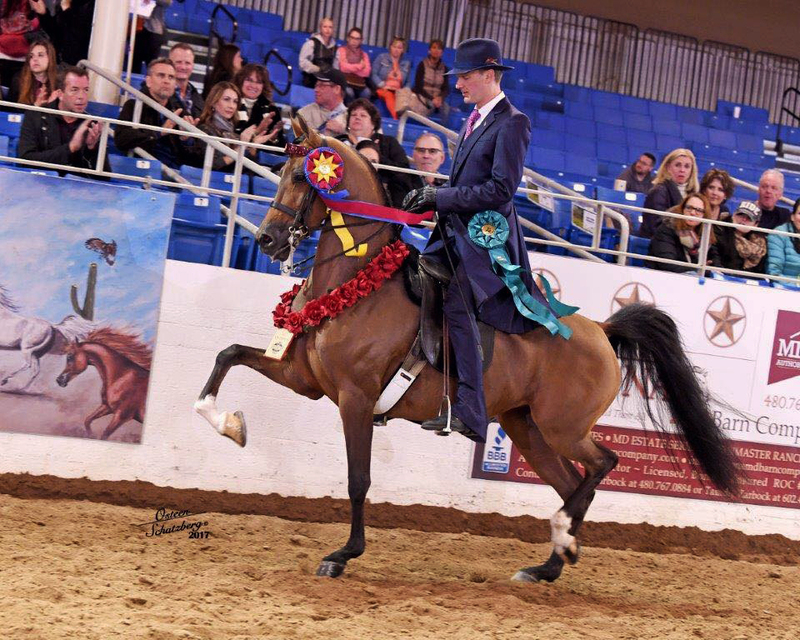 Michelle was named Champion in Country English Pleasure AATR Select Rider with SV Justajoy, while Jonathan Ramsay earned a Top Five in Country English Pleasure Junior Horse with HA Ghrace Under Fire! 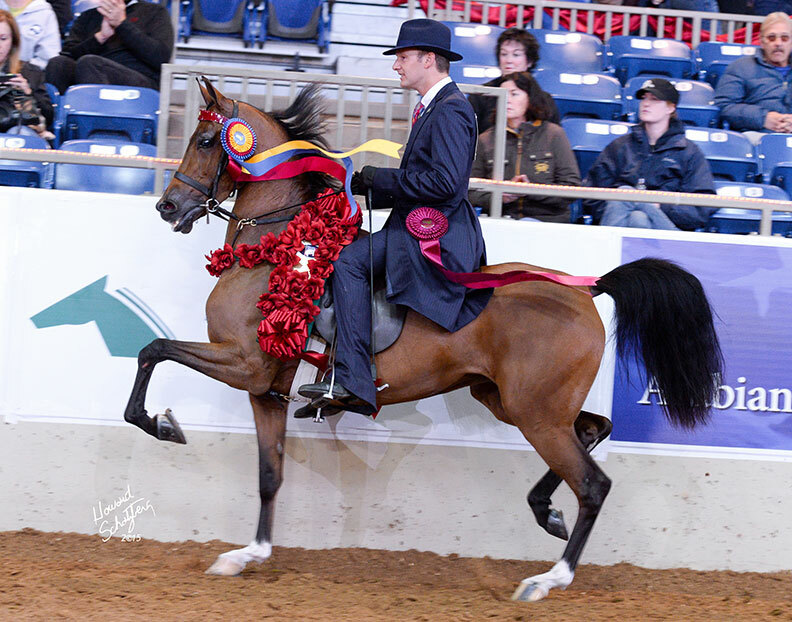 A breeding to the 2012 Unanimous US National Champion English Pleasure Junior Horse, HA Toskcan Sun is available through the AEPA Stallion Service Auction! 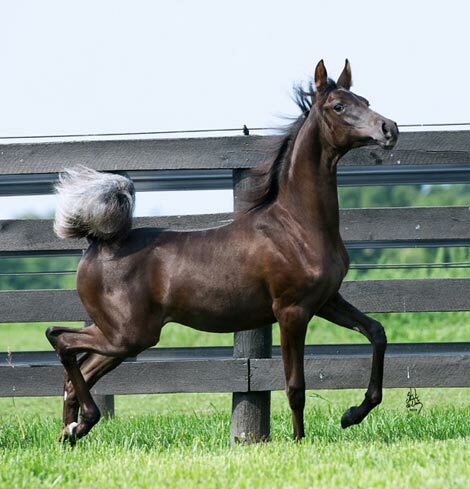 Don't miss out on your chance to breed a foal that will be eligible to win additional prize money! Bidding ends on Monday, March 11th! Bid HERE! 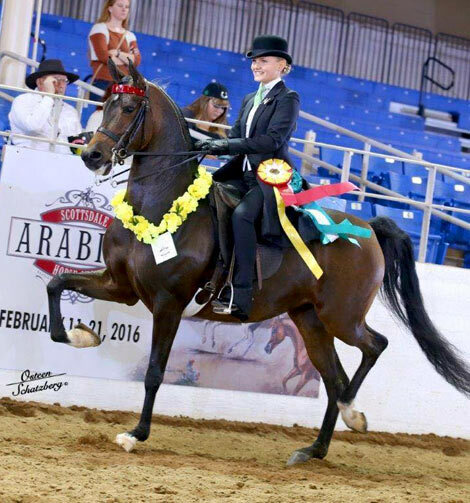 Congratulations to Michelle Harris on her 2013 Scottsdale win with SV Justajoy in Country English Pleasure Select Rider AATR! 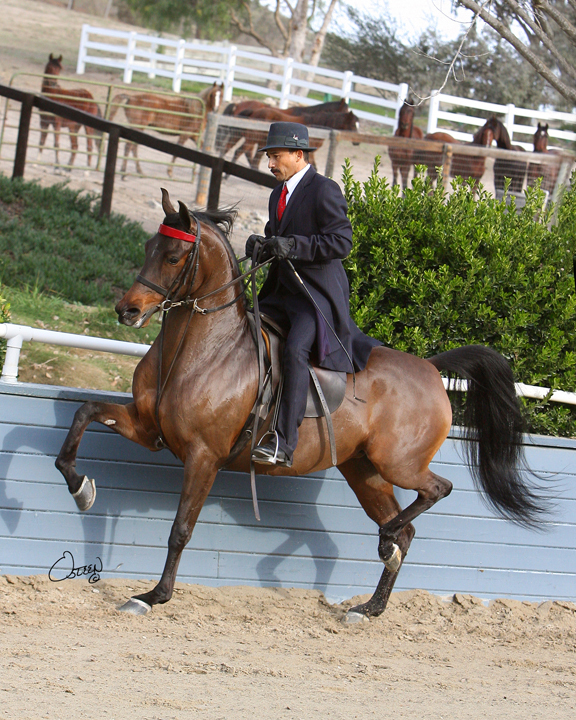 Trained by Jonathan Ramsay of Stachowski Farm in San Marcos, California! 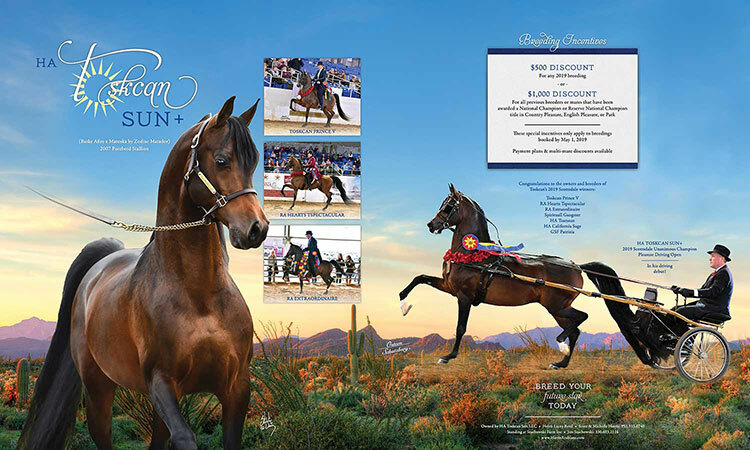 HA Toskcan Sun, at the Stachowski Sale Presentation in Scottsdale! 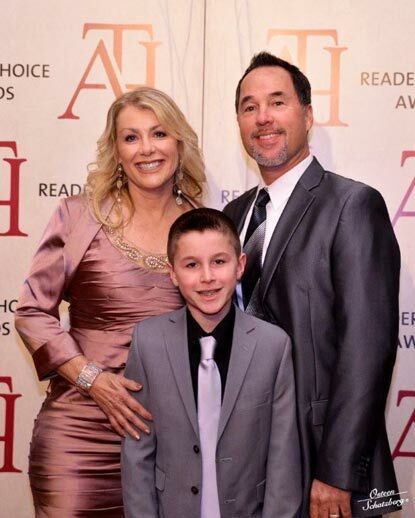 The Harris family at the Arabian Horse Times Peoples' Choice Awards held in Scottsdale, Arizona on February 15, 2013! 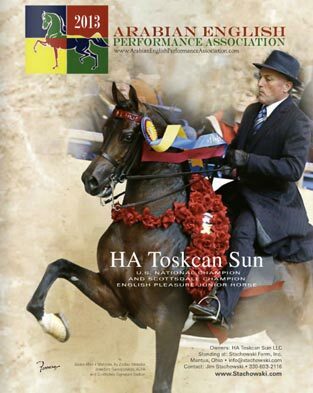 Nominations for the AHT Readers' Choice Awards have been announced and HA Toskcan Sun is nominated for Saddle Seat Horse of the Year! 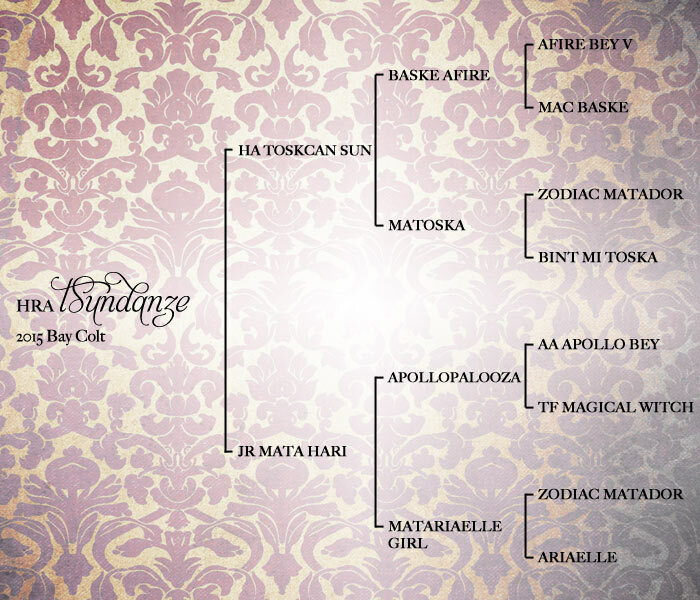 Voting begins on December 10th and ends on January 23rd. Please show your support by voting for Toskcan HERE! The new video of HA Toskcan Sun is now online! 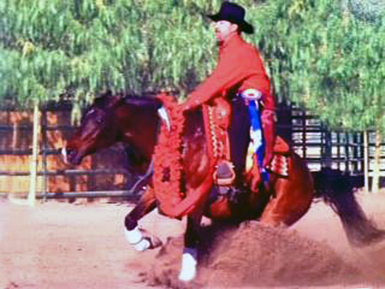 The video includes 2012 foals and footage of his unanimous championship wins at US Nationals and Scottsdale. Watch it HERE! 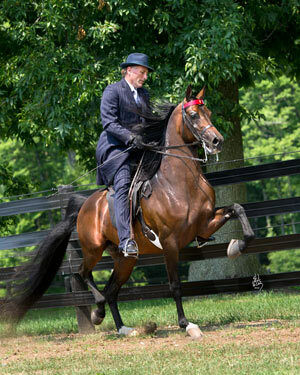 HA Toskcan Sun was just named the 2012 Unanimous US National Champion English Pleasure Junior Horse with Jim Stachowski! This is a dream come true for us! 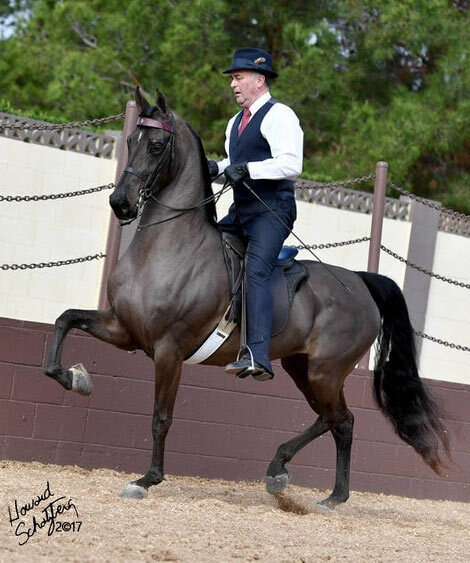 We would like to thank everyone at Stachowski Farm for taking such great care of Toskcan and for assisting us in our dream of recreating our aunt's breeding program. 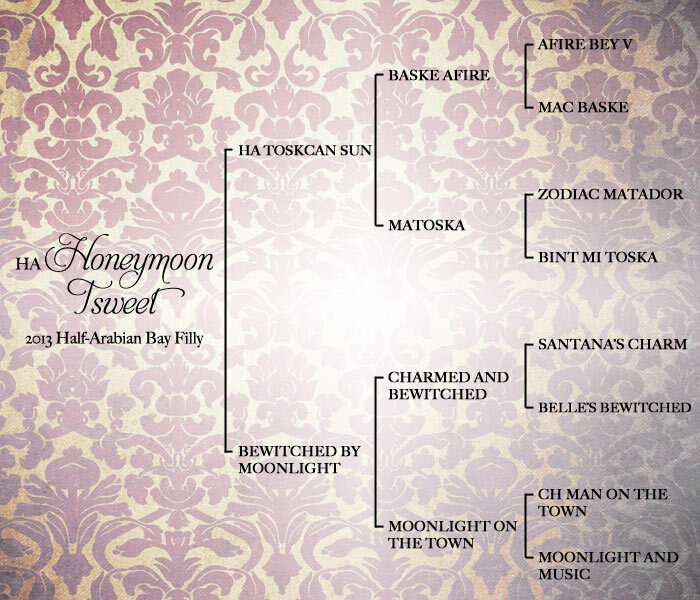 Congratulations to Helen Lacey Reed, a new partner in the family ownership of HA Toskcan Sun! 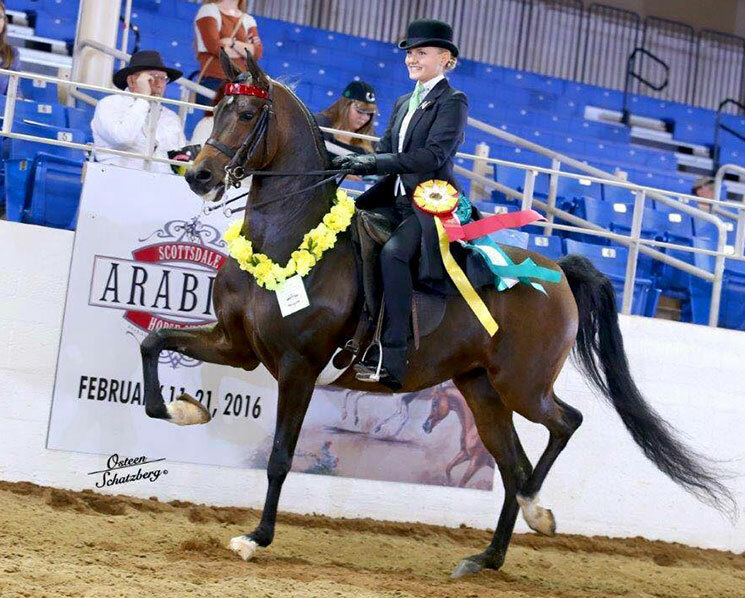 Helen, a lifetime Arabian horse enthusiast, has herself shown and bred National Champion English horses. Together in our partnership we plan on breeding the next generation of English National Champions! 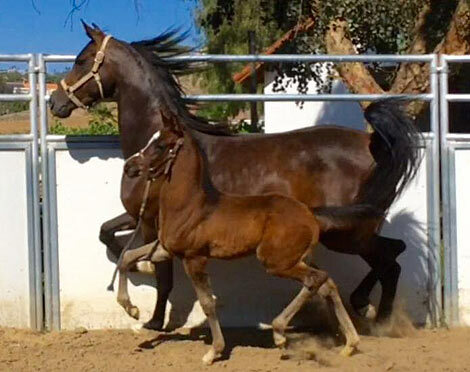 HA Toskcan Sun's first foals are here and we couldn't be happier with what he's passing on! 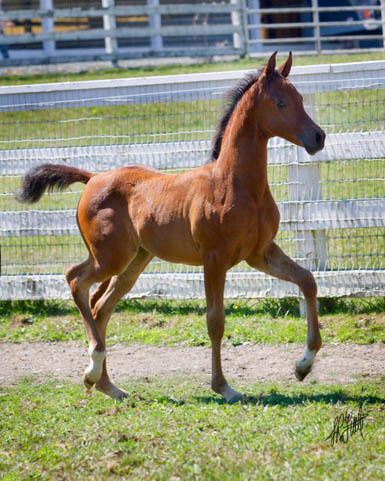 These foals are all extremely upright, tall, and TROTTY! 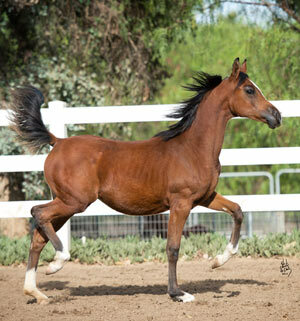 Please check out our Foals page for more pictures and for our 2013 Toskcan foals on the way. 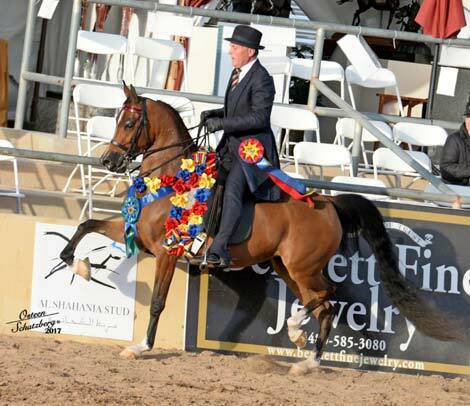 HA Toskcan Sun, 2012 Scottsdale Unanimous Champion English Pleasure Junior Horse with Jim Stachowski!